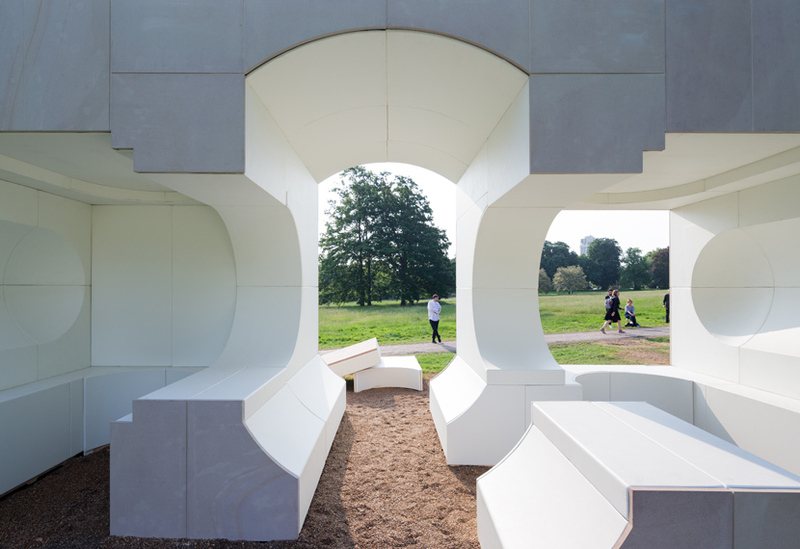 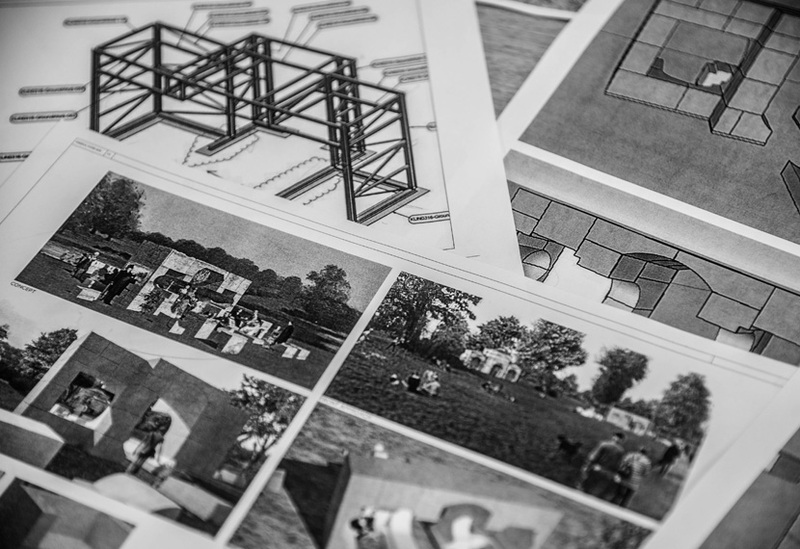 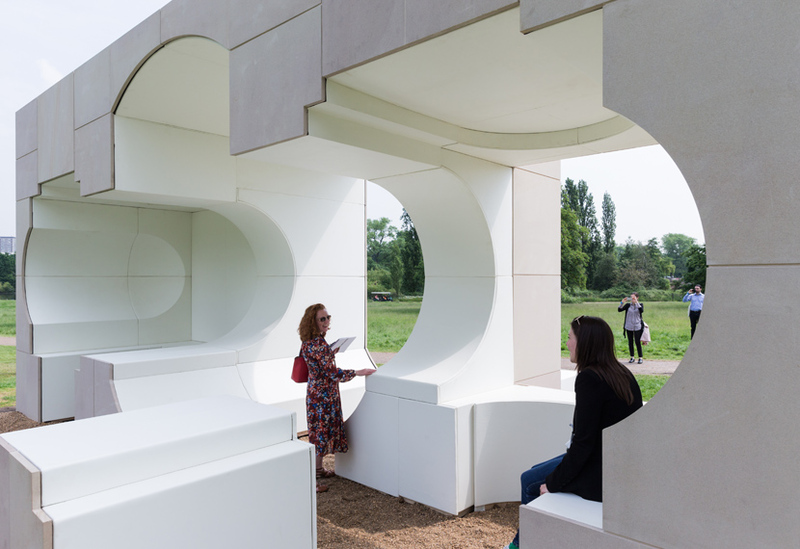 This year’s expanded architectural programme at the Serpentine Gallery includes four Summer Houses, each designed by a different architect taking inspiration from the nearby Queen Caroline’s Temple. 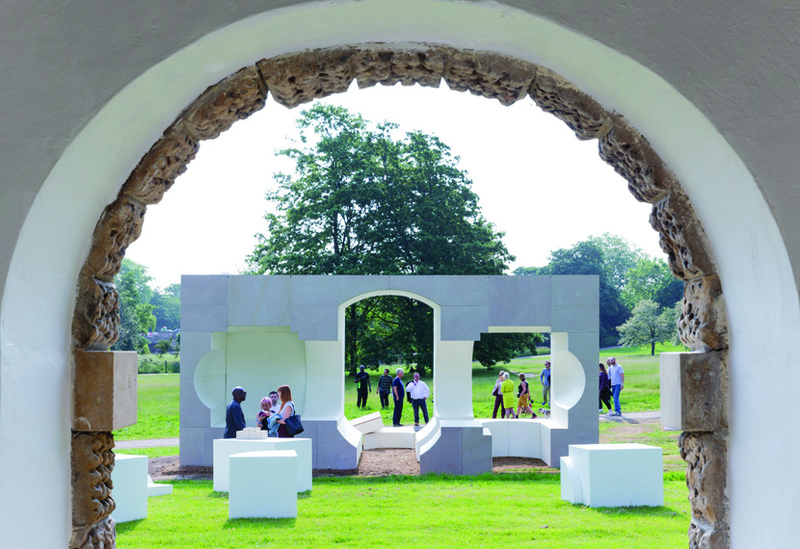 Kunlé Adeyemi’s summer house provides the most literal interpretation of the brief, using the proportions of the folly’s front elevation to create the structure’s footprint. 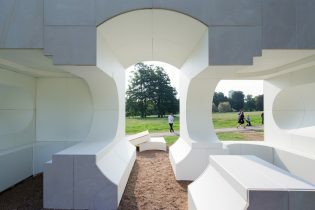 It uses materials in a playful and unexpected way; the stone-clad exterior contrasting with the soft faux-leather interior. 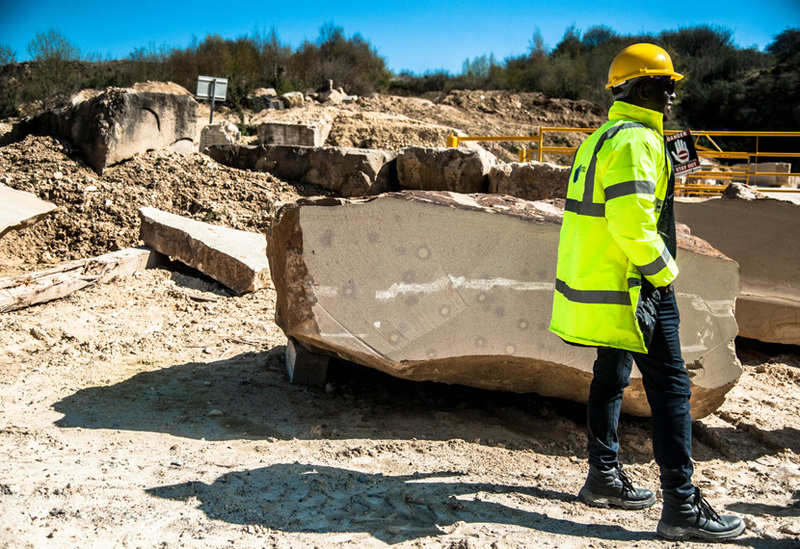 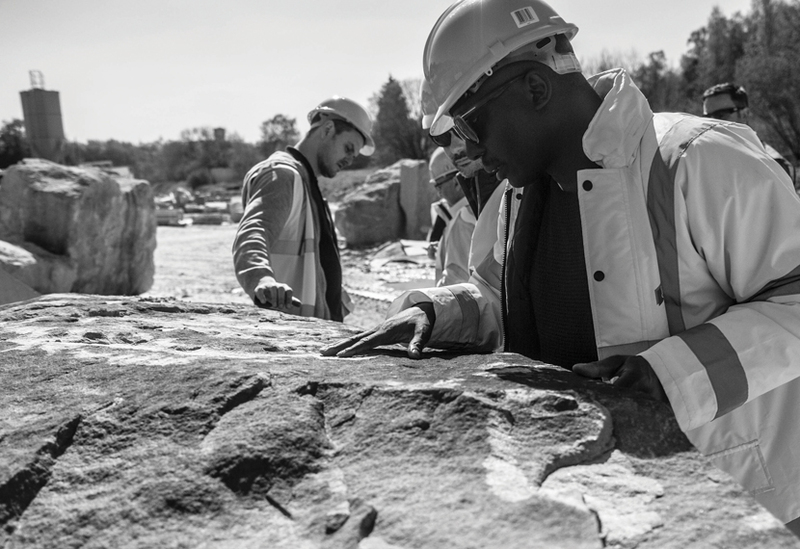 The stone used was specially selected by the architect from Cadeby Quarry and was sawn or waterjet cut as opposed to sandblasted, thus retaining natural imperfections. 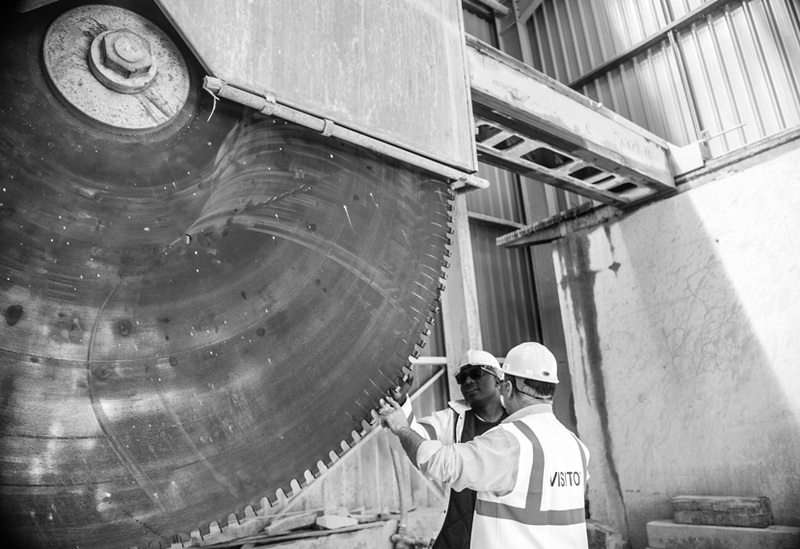 A steel frame allows the 8.2m wide main void to remain clear of any visible means of support.